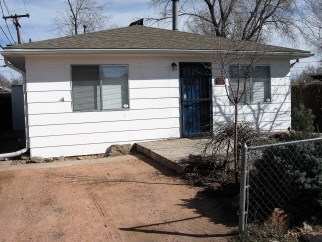 Great Starter Home in growing area! SOLD!. CLEAN, BRIGHT HOME IN UP-AND-COMING WESTWOOD NEIGHBORHOOD. Wonderful front landscaping and deck. New interior paint. Spacious rooms. Newer roof & hot water heater! New blinds. Full size washer and dryer included. Front security door. Shed. Appliances included. Big crawl space. Security system. Off-street parking. Clean, super bright, well-maintained home at a great price! !